Wash and rinse eight large carrots under cold running tap water. 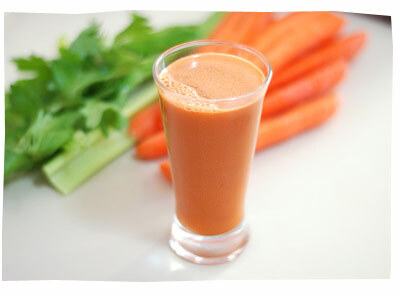 If you own a small juicer, you may want to quarter your carrots to prevent over stressing your machine. Finally you may begin feeding your carrots into the machine one by one. Depending on the age and moisture content of your carrots, you may want to adjust your proportions accordingly. Once your carrot juice is finished, add one full cup of condensed sweetened milk into your glass, and mix the two ingredients together thoroughly. Lastly add in the nutmeg and vanilla extract, again stirring until both ingredients are evenly distributed throughout the juice. Optional garnishes include crushed ice, or a single lemon wedge.